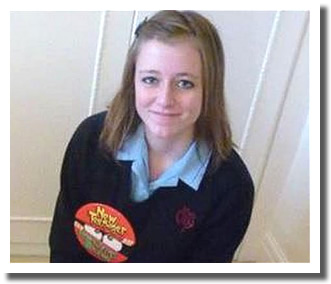 Chelsea Clark was a troubled teenager who sadly took her own life at the end of Y8. Whether this was intentional or a desperate cry for help that went wrong we will never know. The reports below give details of how various agencies failed in trying to help her in the lead up to the tragic event and how her relationship with her mother deteriorated as she hit puberty. The part played by Social Media raised many questions on bullying and the dangers faced by youngsters participating in on-line discussions and friendships. Chelsea Gillian Courtney Clark, a beautiful and very precious daughter, sister, and special girl to many; parted from this world on 29/06/2011 being only 13 years old. As a tribute her older brother Ryan wrote this song and then performed it her funeral.